The following is the 2018 regular season schedule for the Normal Cornbelters. The Cornbelters will play their ninth season in the Frontier League. They are based in the central Illinois community of Normal, which is adjacent to the town of Bloomington, also home to the independent indoor football team, the Bloomington Edge, who will play a six-game schedule in 2018, beginning in July. 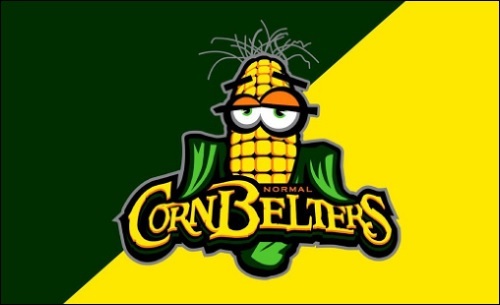 Like the other 11 teams in the Frontier League, the Cornbelters are independent, meaning that they are not a part of a Major League Baseball farm system. The Frontier League encompasses teams from seven states, with five of those teams based out of the state of Illinois. They are members of the league's West Division. The Shaumburg Boomers are the defending Frontier League champions. The Cornbelters play at the Corn Crib, located on the campus of Heartland Community College in Normal. The field has a capacity of 7,000. The Cornbelters played their first game at the Corn Crib on June 1, 2010 against the Windy City Thunderbolts. SCtoC has listed the schedule below, followed by the home fields of the Cornbelters' opponents. Home games are noted in Bold Green. All times are pacific (add two hours for central time). The season starts tomorrow. Good luck to the Cornbelters! Monthly Update: After going 8-10 during the month of May, the Cornbelters went 11-12 in June. They hit a slump during the middle of the month as they dropped seven straight, but they finished out the month by winning five of their last seven. They stand at 19-22, just 3.5 games back of West Division leader the Southern Illinois Miners in the standings, as they head into July. Monthly Update: The CornBelters enjoyed a successful July which saw them move above .500 for the first time since the season opener. Normal went 24-9 during the month; including a spectacular 10-3 at home, while going 4-6 on the road. The finished the month at 28-27 and in fourth place in the Frontier League's West Division standings. They are just two games back of the River City Rascals in the playoff race. The CornBelters will have to have a strong presence away from home as they face 18 of their final 30 games on the road. MONTHLY UPDATE: With the season winding down, the Cornbelters have been eliminated from the playoffs. The month of August could, essentially, be split into two halves. The Cornbelters were 10-13 from the first through the 16th.That included an eight-game winning streak. However, they finished the month 4-11. Overall, Normal finished 14-14; 9-9 on the road and 5-5 at home. The Cornbelters have two games remaining on the 2018 season, Sept 1 and Sept. 2 with the final two of three games at home against the Evansville Otters.